Get Magazine for upto 90% Off and Best Books Deals and discounts using these coupon codes. Barnes and Nobles is offering Buy One Get One 50% Off Select Journals. Coupon code not needed. Take Buy 1, Get 1 50% Off Just For Kids at Barnes & Noble. No coupon code required. Free Shipping when you spend $25+. Get 50% Off Home Office at Barnes and Nobles. No code required. Get Buy 1, Get 1 Free Over 30 Bestselling Authors at Barnes and Nobles. 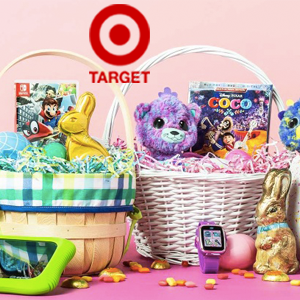 Discount will automatically applied when checkout. Get 6 Month Men's Subscription at $54 at Birchbox using the coupon code during checkout. Purchase a gift membership and redeem when you current one ends. Free 2-hour delivery from Whole foods stores in selected zip codes. Always adding more stores. If you don't need an item immediately, opt for Free Standard Shipping and get free amazon credits. Hurry up and renew the memberships before June 16th or if you are buying it buy it now before 5/11 to save $20 on the annual membership plan. Barnes & Noble is providing Free Standard Shipping on $25+ orders. No promotional code needed. 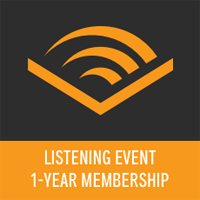 Amazon is offering New Members: 1-Year Audible Membership w/ 12 Credits for $99.99. eBay.com is offering up to 70% off huge selection of items during it's sale this april 2014. Some of the items on discount include iTunes gift cards, iPad Retina, Invicta Watches and lot more. Shipping is Free on most of the items otherwise mentioned as per the item listing. Amazon is offering Kindle edition of this book for Free. The book was priced initially at $9.99. This is the true, inside story of NeXT from the viewpoint of a company executive who worked with Steve for five years. Get $10 Off $50 For B&N Members | Earth Day! Get $10 Off $50 For B&N Members using this Barnes & Noble Coupon. Offer valid for Members. Free Shipping with $25+ Purchase. Barnes & Noble is offering Buy 1, Get 1 50% Off All Catan, Pandemic, Ticket To Ride & Unlock. No coupon code needed. Plus free shipping on orders $25 or more. Get 15% Off Any One Item in store using this in store printable coupon at Barnes and Noble. Take 30% Off Totes at Barnes & Nobles.